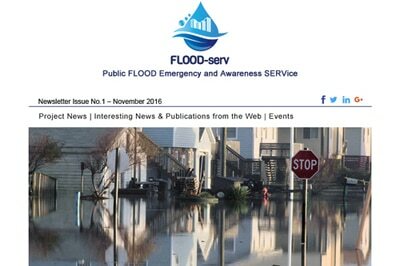 FLOOD-serv > FLOOD-serv First Newsletter Issue is now available! FLOOD-serv First Newsletter Issue is now available! The first newsletter issue of the project is now available. Find out more about the FLOOD-serv activities since the project’s official launch as well as our latest news!